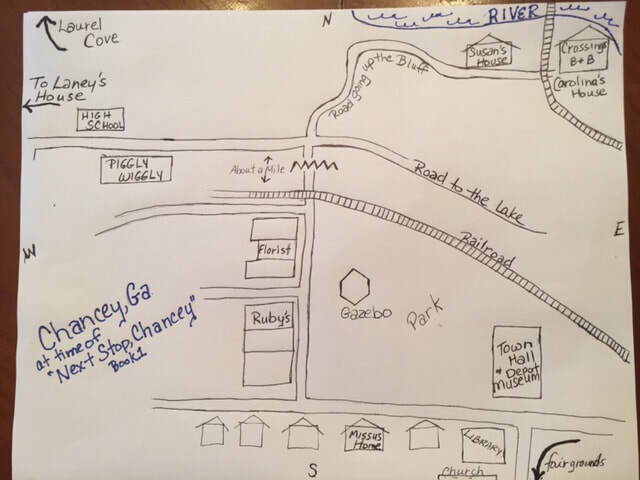 Map of Chancey, Ga - at the time of "Next Stop, Chancey"
​If you've read all the Chancey books then you'll be able to fill in some of the empty spaces. But I don't want to spoil all the surprises for readers new to Chancey. Let me know if you have any questions on the contact page or on my Facebook page.